HPE is broadening its composable strategy. HPE DISCOVER MADRID — Hewlett Packard Enterprise (HPE) is broadening its composable strategy with the new HPE Composable Cloud, an open hybrid-cloud platform, or cloud software stack, built on HPE infrastructure. The company made the announcement at HPE Discover 2018 Madrid. The new cloud stack base building block is the HPE ProLiant DL 380 rack system. This complements the HPE Synergy platform, a composable environment based on a bladed architecture. The HPE Composable Cloud delivers an integrated software stack that allows businesses to benefit from the choice of public and private clouds, with the simplicity, scale and economics of public-cloud providers. The API allows third parties to write to and integrate with HPE’s solution. Today, HPE has an ecosystem of partners that are integrating their technologies with the vendor’s platform. HPE Composable Cloud for HPE ProLiant DL is optimized for cloud-native workloads and rack-scale environment with template-driven automation, which streamlines the deployment of cloud stacks and automates the life cycle, initially supporting Red Hat OpenShift and VMware workload deployments. The HPE Composable Cloud solution includes the HPE Proliant DL 380 rack system as well as components from HPE’s software stack such as HPE OneView, HPE OneSphere, and HPE Infosight for predictive analytics and continuous learning to optimize the environment. The HPE Proliant DL 380 rack system can include multiple servers in a rack, and multiple racks that can be interconnected using HPE’s composable fabric, or software-defined networking. HPE brought to bear its recent Plexxi acquisition. Plexxi, acquired in July, provides the software-defined data fabric networking technology. HPE OneView is for software-defined infrastructure management and workflow automation. 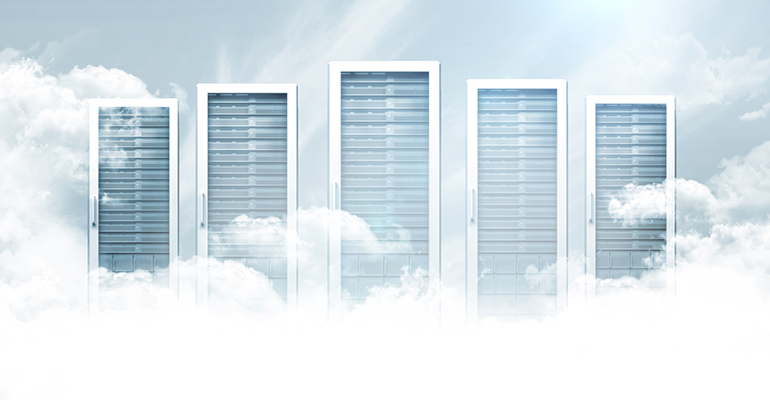 It allows IT to build and scale private clouds quickly and enables API integration. HPE OneView does the life-cycle automation of maintenance and updates to firmware. HPE OneSphere is as-a-service multicloud management that spans public and private clouds. “If a company has a subscription to the public cloud, such as AWS, we can connect that subscription in through OneSphere and we’ll be able to see everything that customer subscribes to,” said Whitehouse. OneSphere pools all resources so users can get what resources they need, in either public or private cloud. Today, HPE OneSphere supports public-cloud services including AWS and Microsoft Azure. On-premises support includes VMware environments, as well as Kubernetes container environments running in VMware and in AWS public cloud. HPE also enables bare metal on-premises. HPE also announced that it enhanced Simplivity, its hyperconverged infrastructure (HCI), with composable fabric. Simplivity is software-defined storage on an x86 Proliant DL or Apollo 2600 system. The Apollo system is suitable for contained environments, or for small footprints, making it ideal for branch or remote-office environments, edge types of use cases, or VDI implementations. With Monday’s announcement, HPE is expanding the number of nodes that can be supported within a cluster to 16, and multiple clusters in an environment are able to total 96 nodes across a multicluster federation. Whitehouse says the introduction of composable cloud on rack systems opens a significantly larger portion of the total addressable market (TAM) to partners. “There’s more opportunity to sell this type of a cloud software stack on Proliant systems to those customers that want to standardize on rack-based hardware,” she said. HPE Composable Cloud offered on HPE ProLiant DL rack servers will initially roll out in the United States, United Kingdom, Ireland, France, Germany, and Australia starting next quarter. HPE SimpliVity with Composable Fabric will be available next month in those regions. HPE OneSphere is currently available in the U.S., U.K. and Ireland, with additional countries targeted in the coming year.